Taste buds are barrel-shaped clusters of chemoreseptor cells called gustatory cells and supporting cells arranged like alternating segments of an orange. 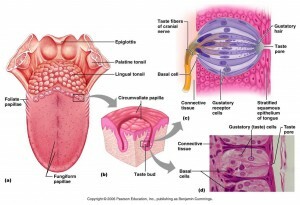 Extending from each receptor cell are gustatory hairs that project through a tiny opening called the taste pore. 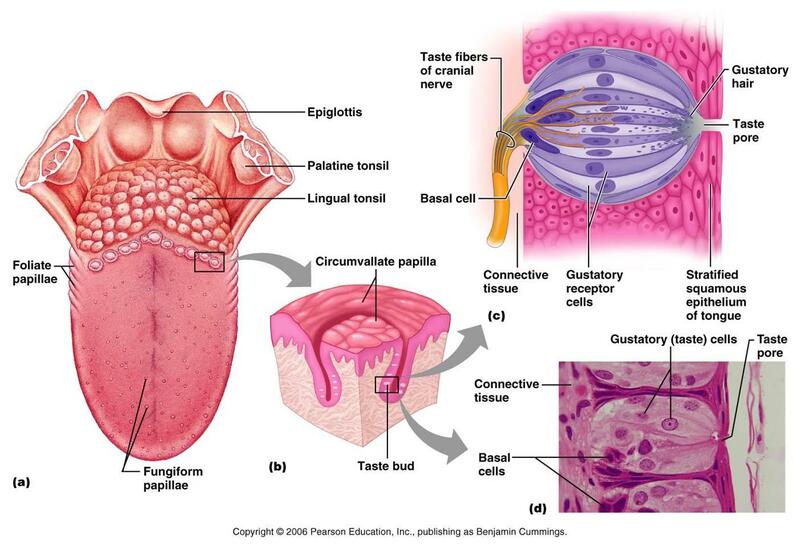 Sensory neurons are associated with the basal ends of the gustatory cells. The four generally recognized taste sensations are sweet (sugars), sour (acids), bitter (alkaloids), and salty (electrolytes). 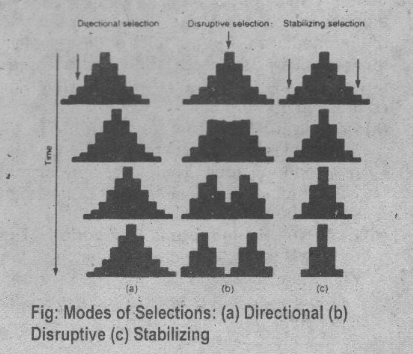 The exact mechanism(s) that stimulate a chemoreceptor taste cell is/are not known. One theory is that different types of gustatory stimuli cause proteins on the surface of the receptor-cell plasma membrane to change the permeability of the membrane-in effect, “opening and closing gates” to chemical stimuli and causing a generator potential. Vertebrates other than mammals may have taste buds on other parts of the body. For example, reptiles and birds do not usually have taste buds on the tongue: instead, most taste buds are in the pharynx. In fishes and amphibians, taste buds may also be found in the skin. For example, a sturgeon’s taste buds are abundant on its head projection, which is called the rostrum. As the sturgeon glides over the bottom, it can obtain a foretaste of potential food before the mouth reaches the food. In other fishes, taste buds are widely distributed in the roof. side walls, and floor of the pharynx, where they monitor the incoming flow of water. In fishes that feed on the bottom (catfish, carp, suckers), taste buds are distributed over the entire surface of the head and body to the tip of the tail. They are also abundant on the barbels (“whiskers”) of catfish.